Blood donation is one of the most significant contribution that a person can make towards the society. If we donate the little excess blood in our body, it could save someone′s life without creating any problem for us. It is not harmful for an adult person to donate blood. The body of the donor can regenerate the blood within few days. It poses no threat to the metabolism of the body. In fact there are many benefits that a donors body get after donating blood, you can google it for yourself. Indian people consider every Indian his/her brother/sister, that's the reason they never hesitate to donate blood when someone needs it. Even then sometimes it becomes very difficult to find desired blood group when it is required, that's why many organizations are working hard to make sure that no one dies due to shortage of blood in blood banks. Dera Sacha Sauda: It is the largest blood donating organization of this world, it has also won world records in the field of donating blood. We're lucky that center of this organization is in Sirsa, Haryana, India. There are more than 5.5crore volunteers of this organization and are known as True Blood Pumps. These volunteers literally enjoy donating blood & celebrates blood donation camp as if it is some kind of party or birthday bash. Indianblooddonors.com: It has about 9500 registered users, can be helpful in emergency. Friends2Support: Website where you can manually locate blood donor in your city. Visit this link & find donor contact number manually. You know about any other effective organization? Do share with us by messaging us on our official Facebook page. 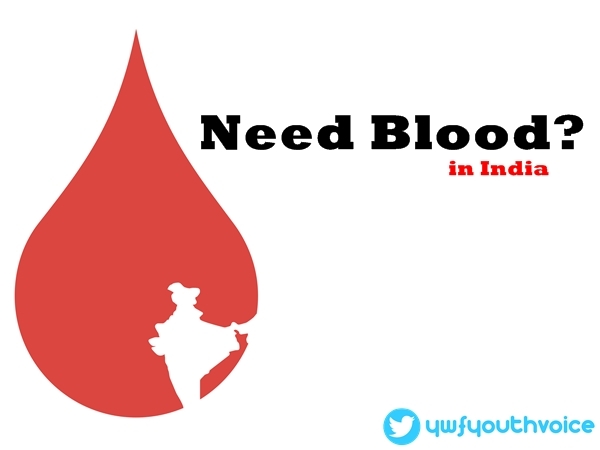 Youth Voice: Need blood donor in India?